*Also Note: Brick liners shown are not included. 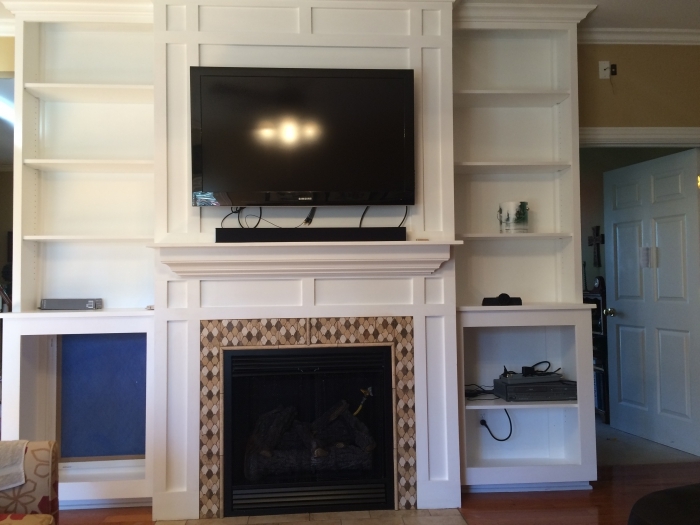 Creating an inviting hearth isn't easy. That's why it's so important to start with a high-quality insert like this Breckenridge VFD32FB0F Deluxe Vent-Free Flush Gas Firebox. 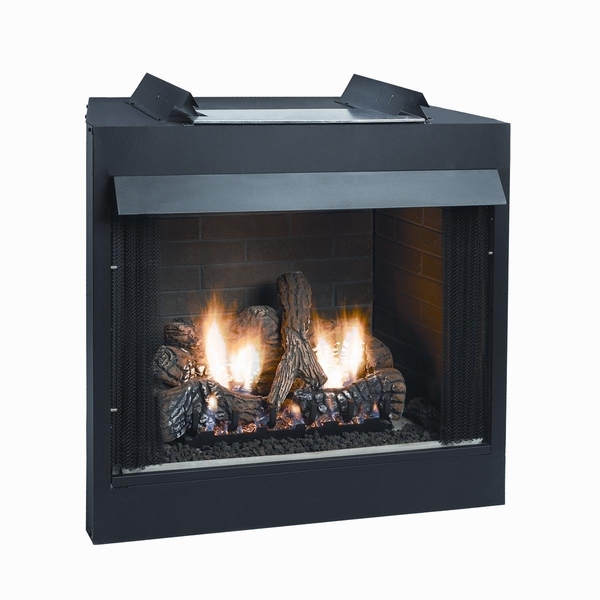 Whether you're looking to convert your existing masonry fireplace into something more convenient or are simply interested in providing your home with an eye-catching centerpiece, this universal firebox can satisfy your needs. The VFD32FB0F Deluxe Vent-Free Flush Gas Firebox is designed to give you absolute freedom. A wide variety of frames, doors, liners, and other accessories allow you to create a look that perfectly matches your decor. Your placement options are also almost endless since this model requires no cumbersome and bulky venting. A Breckenridge VFD32FB0F Deluxe has everything you want in a firebox. It's stylish, inexpensive, and remarkably easy to install. Buying one of these gas inserts is the first step on your way to giving your home the warmth that only an open fire can bring. Can a blower be added to this firebox? Yes, you can add the optional FBB5 single-speed blower to this firebox, with or without the SCV-1 variable speed control. Can I use an electric log fire insert with this box? Can a blower be installed in this unit without the louvers on the bottom front panel? Yes, this firebox can utilize an optional blower even without louvers. The listed weight is 76 pounds. Does this include the logs? This does not include a log set. Are there any requirements other than those listed in the owners manual? There are no requirements other than the owners manual and any local codes you may have to follow. Is this available for propane? This is only the firebox, so you will need to add a propane gas log set to the unit. Do you have to use the brick liners with this or can it be used without them? What size room would this heat? The heating capability will depend on the BTU output of the log set installed into the firebox. Does this come with a mesh screen? This model does indeed offer a hanging mesh pull screen as a standard feature. What is the interior made of and what does it look like? Without the decorative ceramic liner panels, the interior is simply matte black painted steel. Does this Empire firebox come with a glass door? If not, can a glass door be added? This unit does not come with a glass door, nor can one be added, as the front must be kept open to allow for the exhaust and intake of gases and air. 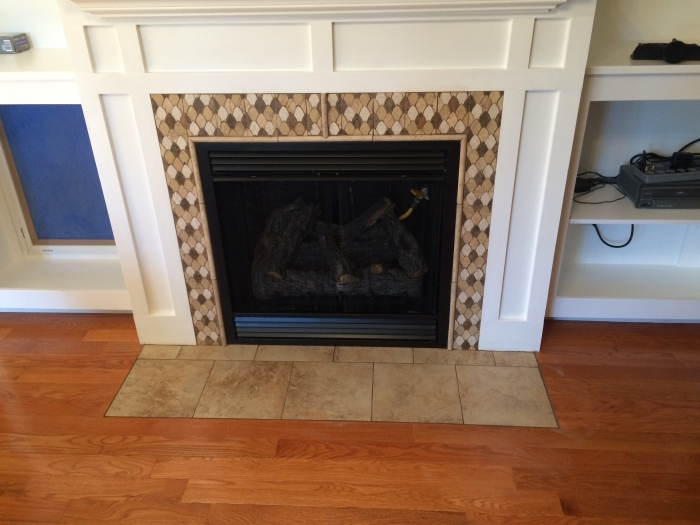 What are the dimensions of this Empire Breckenridge VFD32FBOF Deluxe vent-free flush gas firebox fireplace opening? This unit's opening is 31" wide and 22 1/4" high. What are the framing dimensions? Would this also work with a propane tank? What additional items would I need? The framing dimensions of this fireplace are 33 3/4" H x 35 1/2" W x 16 1/4" D. This unit does not come with a log set, so in order to utilize a propane tank (minimum 100lbs), you will need to purchase a propane vent free log set. Can this box be used with gel fuel? It can indeed. The box is capable of being used with a gas log set, ethanol burner, or gel fuel. Can this be installed directly to standard 2x4 framing? Yes, please see the framing information for this firebox on page 5 of the owner's manual. Please be sure to check the specs for the VFD32FB. Can fyre stones, glass and a linear burner be used with this firebox? The Breckenridge box is designed to accept any appropriately sized vent-free gas appliance. Whether it be a log set or a glass unit, a 24" set would be recommended.